When you’re building an engine from scratch, there are any numbers of ways to begin the selection process. You can build the short block and go from there (and that seems to be the most common method). But there is another way, and I think it’s a wee bit better: Start with the induction system (heads, intake, carb and cam) and build the rest to match. Dumb idea? Maybe, but today you’ll find that the top end of the engine is where you’ll find the power. The rest of the pieces pretty much contain the combustion carnage. For our hypothetical LS motor, we’ll start with the heads. Here, we use a set of Brodix BR7 STS jobs. 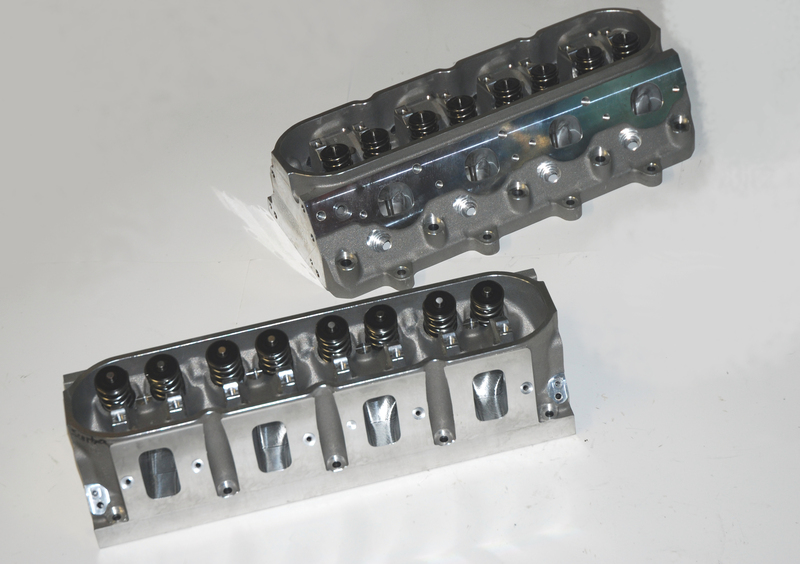 These are readily available, high quality LS7 style heads. 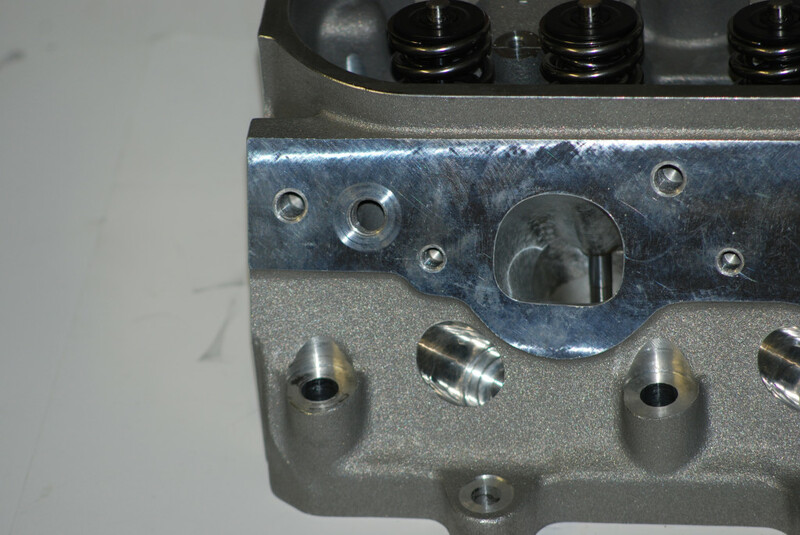 Even in CNC ported form, they have a relatively small port volume (264 cc) and have a 2.204-inch intake valve (yes, that’s big block territory). 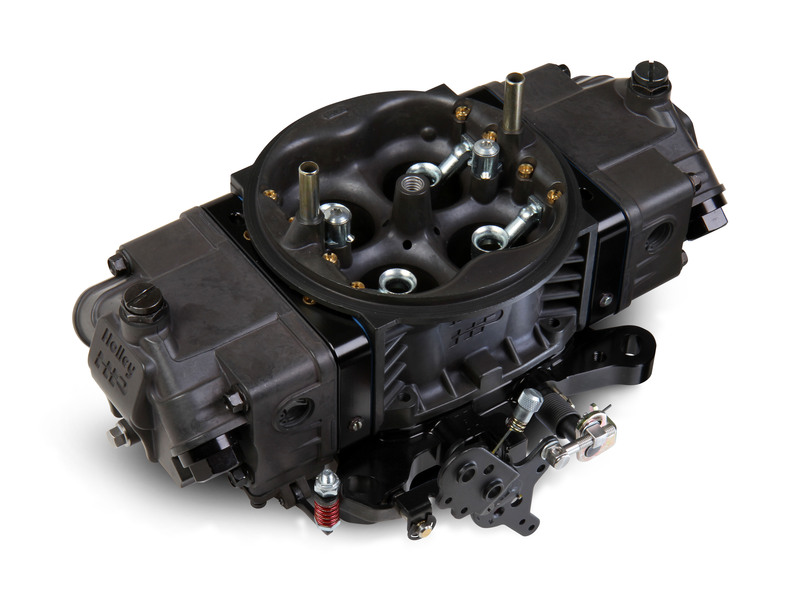 The Brodix BR 7 head series has an intake port volume that is closer to an oval port rat motor than a small block. There’s a wee hitch in the comparison though: The big block has a long intake tract with a couple of convoluted ports. The LS motor is a symmetrical port arrangement (with all ports being equal). They have direct paths right into the combustion chamber. As a result, the ports tend to be shorter than their big block ancestors. So far so good, but just how much “air” do these cylinder heads move in the intake port? What follows is flow data in cubic feet per minute (CFM) collected from Brodix, using a baseline figure of 28-inches for comparison purposes. These things flow serious air and according to folks in the know, the air speed is high. Translated, a properly setup engine with this head arrangement will produce some serious steam. The combustion chamber is a 12-degree setup. Essentially, that straightens the valve up, unshrouds the sides of the valves within the combustion chamber and provides the basis for a small, efficient chamber. That translates into a situation where you can move air at a faster pace (increase velocity), and that’s really good news when it comes to cylinder heads. Finally, this head accepts primarily OEM components. That means you can use conventional LS7 headers, any number of OEM or replacement rocker arms and so on. For an intake, we’d go straight to Chevrolet Performance for one of their # 1924403 single plane LS7/LSX intakes. 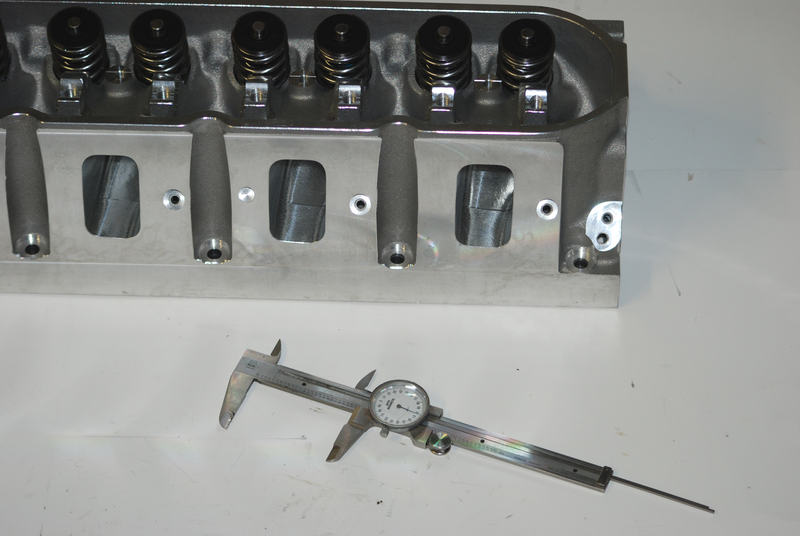 It’s designed for a 4150 series Holley carb and is a direct fit to the Brodix heads. We’d port match the intake to the cylinder heads and call it done. The carb of choice? We’d start with an 850 CFM Holley Ultra Billet job. This is Holley’s latest aluminum piece with four corner idle, provision for a throttle stop, a choice of 1:1 or progressive linkage (the secondary link is adjustable), plus it’s fully adjustable with emulsion tube bleeds, power valve channel restrictors & idle feed restrictors. Power valve channel restrictors are also machined lower in metering block for improved fuel delivery to power valve circuit. Bottom line? 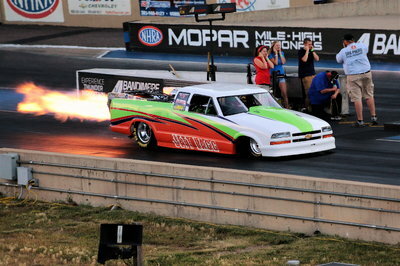 This is a serious race carb that is pretty much perfect for bracket racing. Upstairs, a set of Crower stainless steel shaft rockers (# 74107F) will fit the bill. You’ll have to have the heads machined to accept the Crower shaft arrangement, but the folks from Brodix can help you out with the machining when you order the heads. Why pick a hydraulic cam? Simple. We’re looking for no-fuss, no muss in a bracket buildup. The cam we picked matches the heads nicely. It has a good power range and trackside maintenance is minimal (actually zero). That’s a big bonus for a bracket car. It allows you concentrate on going rounds instead of fixing. Next time around, we’ll go downstairs and “build” the shortblock. You might be surprised at some of the parts we pick. The intake port measures 2.350 X 1.350-inches. 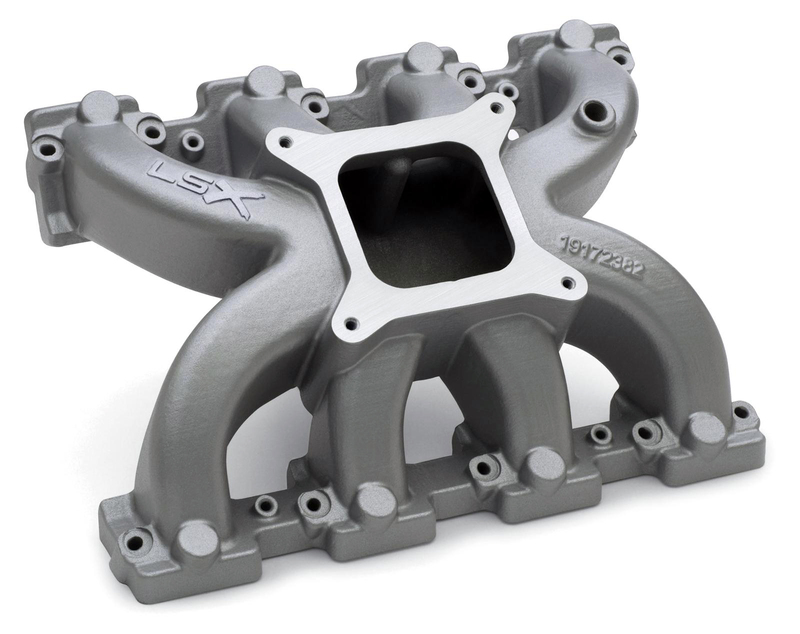 It’s designed to accept all stock Chevrolet (and of course, aftermarket) LS7 intake manifolds. Peer inside the port and you can see that the head makes use of bronze guides. 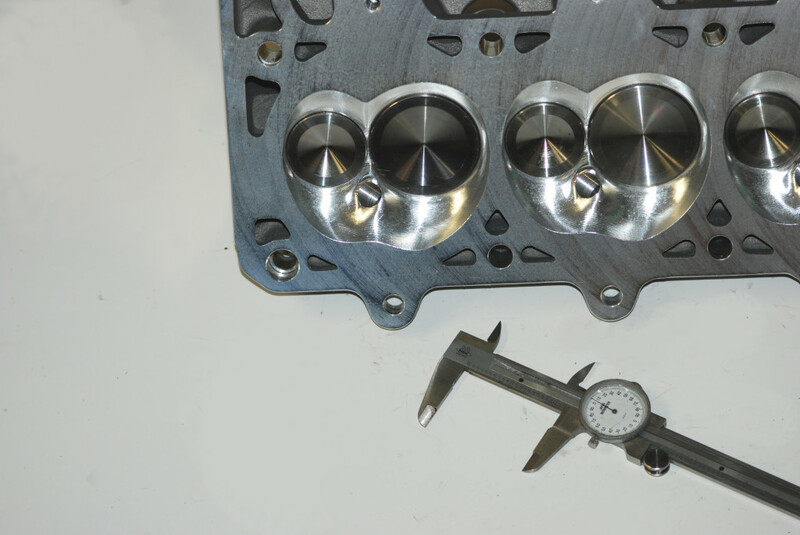 Intake valves have a stem diameter of 8-mm. The stem is 5.20-inches in length. The intake valve measures 2.204-inches in diameter. Figure that Chevy’s Special High Performance and Heavy Duty rat motors came with 2.19-inch intake valves, and you’ll get the idea this head was designed to move big air. 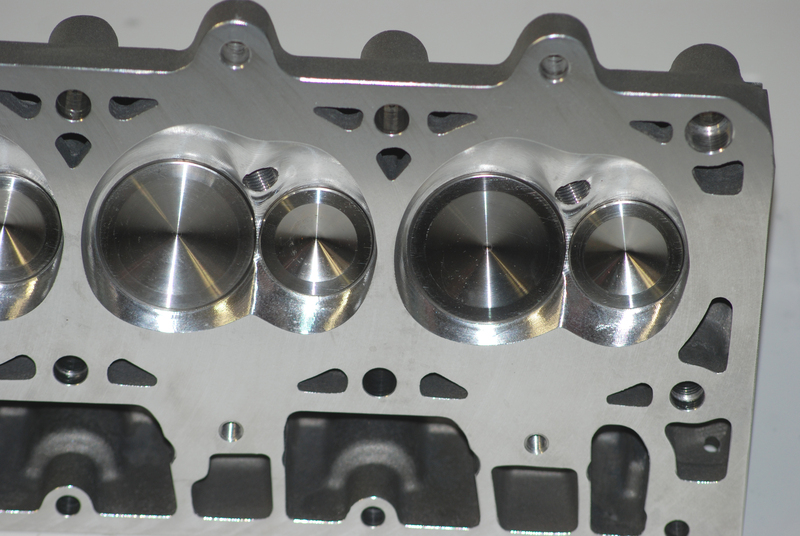 Exhaust ports on the BR 7 series cylinder heads are engineered for use with conventional Chevy LS7 components. That means headers (or manifolds) designed for those combinations are a direct fit. It’s easy to see the streamlined guide (with a bronze insert) in this photo. Here’s a look at the combustion chamber on the STS BR 7 head. As you can see, it’s fully machined. 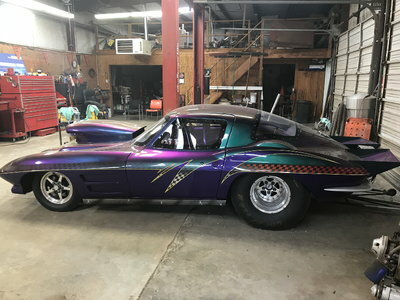 It holds 71-cc’s (1 more than specified for a stock LS7) and includes huge 2.204-inch intake valves and 1.614-inch exhausts. For an intake, we’ll dig into the Chevy Performance parts bin and use one of their single plane carburetor intake manifolds. As you can see, it’s setup for a single 4150 Holley carb. 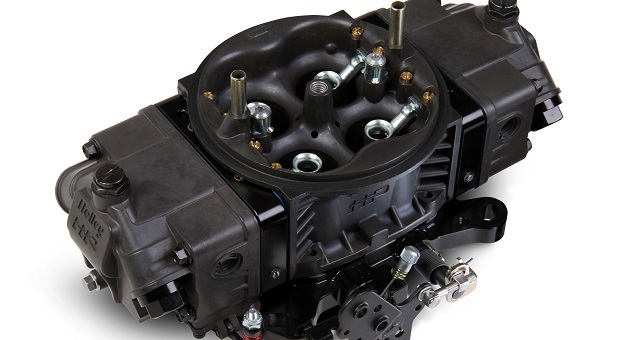 For a baseline setup, we’d pick a Holley 415 Ultra Series carburetor. 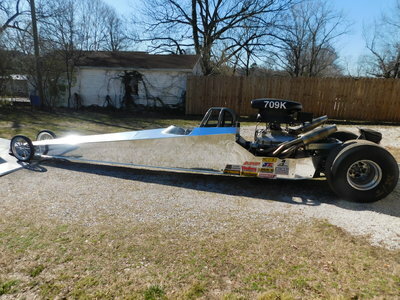 It’s loaded with bracket racer friendly features. Check out the text for more info. 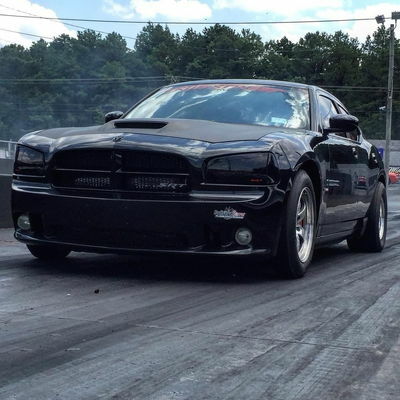 The allure of the drag strip is easy to understand – a place where it takes less than 10 seconds to make a stand, prove your skill, speed, and nerve. But the road to the races can be intimidating. The Burnout wants to make that road a lot smoother for aspiring racers, whether it’s through building a new car, modding a used one, or taking that ride all the way up to the burnout box and beyond. 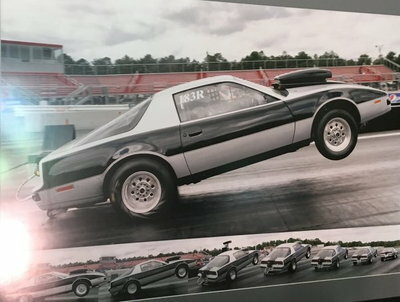 This series is a work in progress, an ever expanding comprehensive guide to all the things that take drag racing from concept to reality.